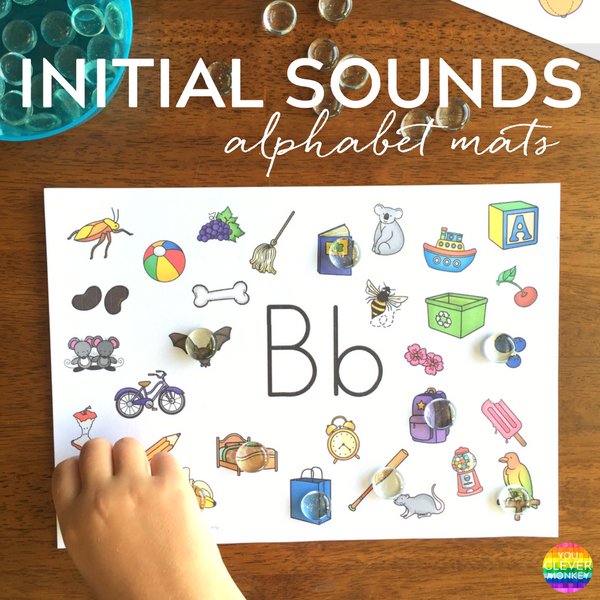 Ready to print, these initial sounds match cards are ideal for preschoolers and primary aged children learning their beginning letters sounds. Literacy work stations or centres have been a constant in my classroom timetable over the past few years. Why? Literacy centers are the perfect way to help reinforce early literacy concepts taught previously during class time in a fun and playful way. And because they are often game based, they help engage every learner and make differentiation easier to achieve in a busy classroom. As busy teachers, it's not always easy to find new ideas to help engage your students. 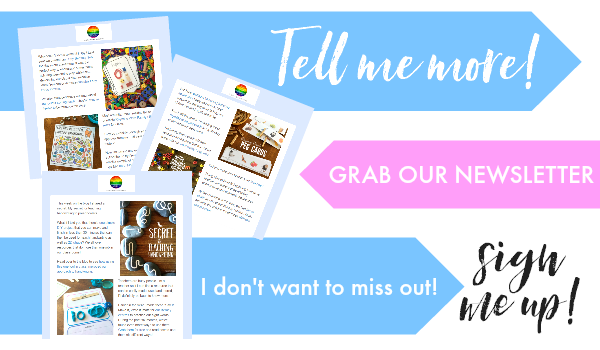 I've regularly posted roundups of literacy centre activities I've used before which have proved popular with the children in my class. 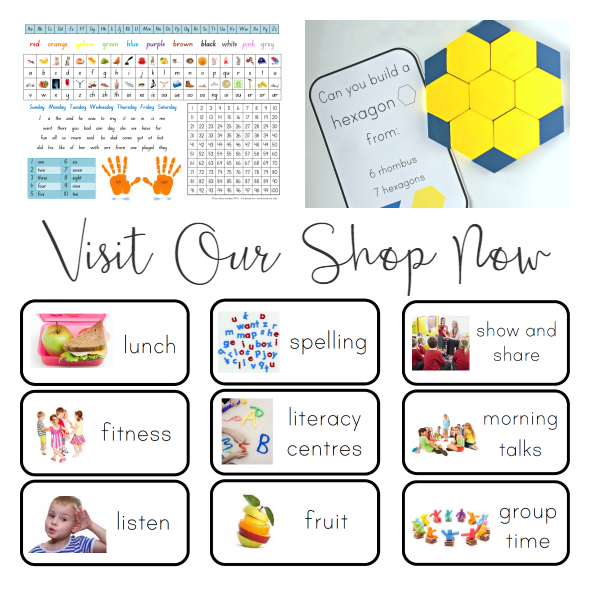 You can find all of those resources and activities here and here. Despite having all these teaching ideas, I'm always adding to our literacy centre resources. Your class from year to year is always different and you children develop at different rates. What you needed to focus on in second term last year is not what you might need to focus on this term. 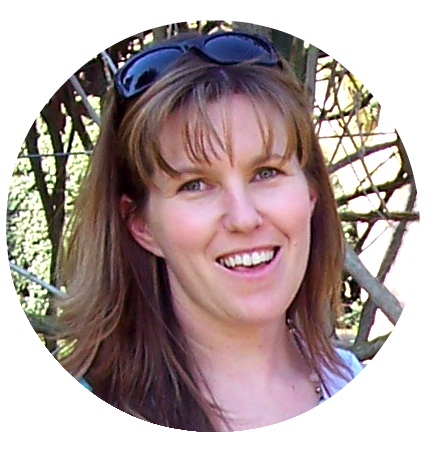 You're constantly assessing your students to ensure you are providing activities to help build on their existing knowledge. 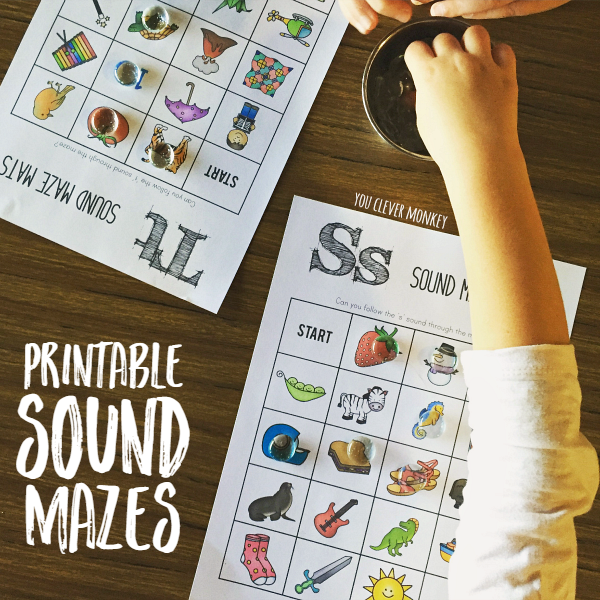 Many of my students are just learning their letter sounds and we've been focusing in on the beginning sounds of words. At this stage we have used objects they are familiar with to help build their understanding and confidence. 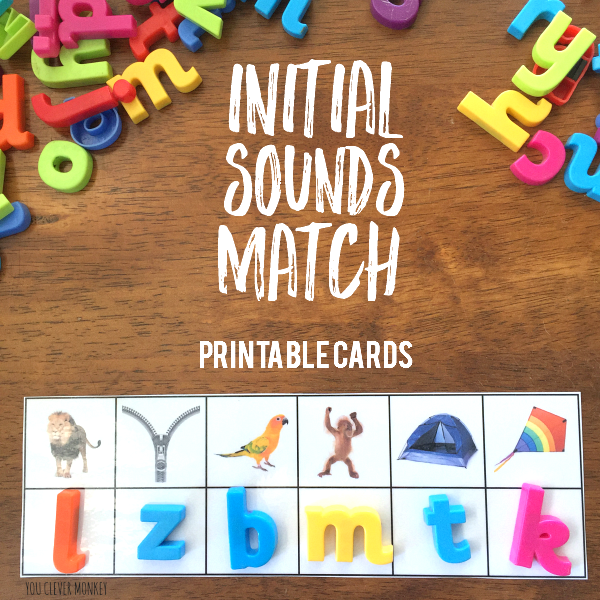 To help support this I've created some initial sounds match cards ready for our literacy centres this week. Simply download the file and print out the cards. I like to laminate them to help them survive repeated use. Add some letters for students to match up to the initial sound of the picture they see like in the photo below - F for frog, P for panda, E for egg. 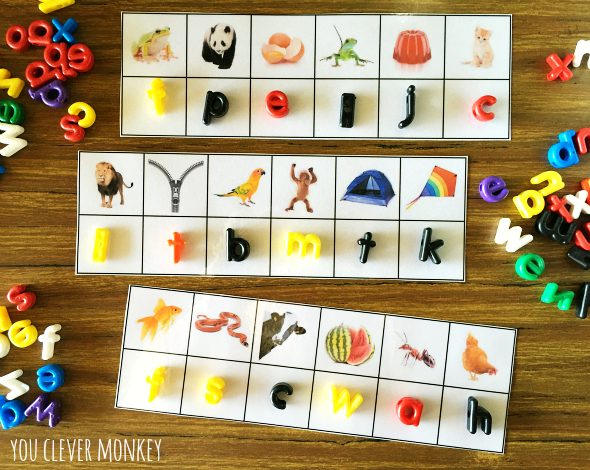 Here we used our threadable alphabet beads (they are so versatile) to match to the pictures but you could use magnetic letters or just whiteboard markers for children who are more confident forming their letters to write. This is a digital product, no physical item will be posted to you. This is an A4 PDF file, you will need Adobe Acrobat or similar PDF reading software to open the file. This file is available for download via link in an email from 'SENDOWL' sent immediately after payment. You should open and save this product to your computer, not your mobile device. Please note there is a limit of 10 downloads from the shop for this product, so it’s very important to save the file somewhere you can find it easily in the future. You will not be able to download the file more than 10 times. Prices are in US dollars. Paypal with automatically covert the payment into the currency you are paying with. This product is for personal, non commercial - single classroom use only. You may not share, distribute or alter this product. 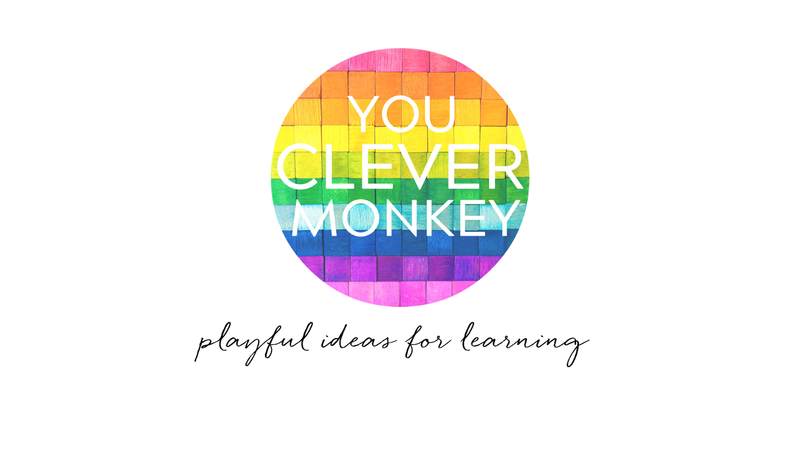 It is copyright © Nichole Halliday/you clever monkey. All rights reserved. No refunds are available on digital products. This file restricts the copying and editing of any texts or images. Colour between the printed item and the computer monitor may vary.